Green cities, urban green, wild cities. More and more hashtags underpin the urgency of the importance of creating green environments in cities. 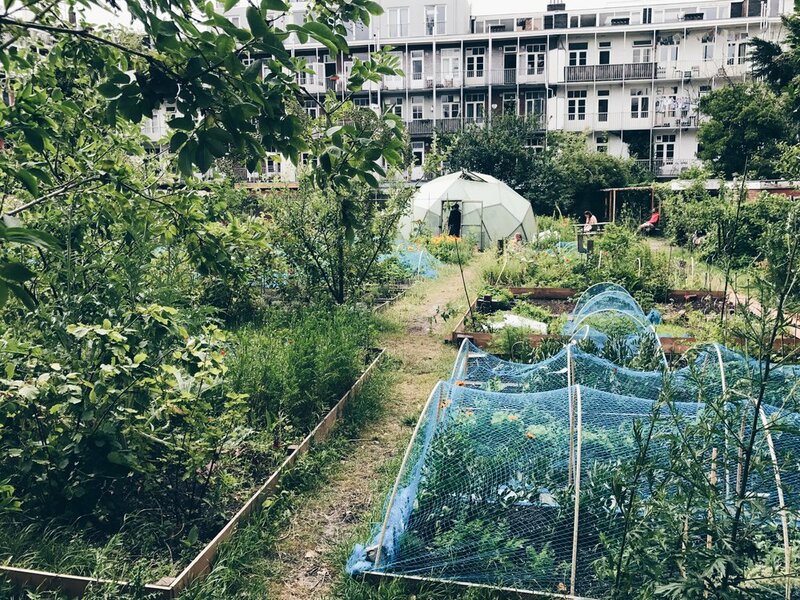 The popularity is growing of edible gardens, green rooftops, office meetings outside in green surroundings, and flex workers who choose to work in parks. European capitals embrace this movement. In the UK a group has successfully campaigned to make London ‘the world’s first National Park City’. The movement, based around famous guerilla geographer and creative explorer Daniel Raven-Ellison, has managed to make London a “city where people and nature are better connected. A city that is rich with wildlife and every child benefits from exploring, playing and learning outdoors”. What an energy! Londoners who sympathize with the #NationalParkCity idea, were asked to write to their local councillors to declare that their ward should support this initiative. A majority of London's council wards have backed the idea. London mayor Sadiq Khan and the London Assembly also vowed their support. In February 2018 the nomination was officially claimed: in the near future London will become the world’s first National Park City. In order to visualise what the urban green in Greater London looks like, and to inspire more Londoners to give their support, frontman Daniel embarked upon a 500km walk across all 32 boroughs and the City of London (#bigwalkaroundLondon). A green map of London - including 3,000 parks plus woodlands, playing fields, nature reserves, city farms, rivers, canals and all the spaces that contribute to London’s landscape - was crowdfunded. Urban Good CIC made it. In Amsterdam, on the other side of the English Channel, we followed enthusiastically this immense effort. It inspired Nature Desks to start to visualise the green parts of the Dutch capital. And to make other plans. Please save the date: Wednesday 16.05.2018. 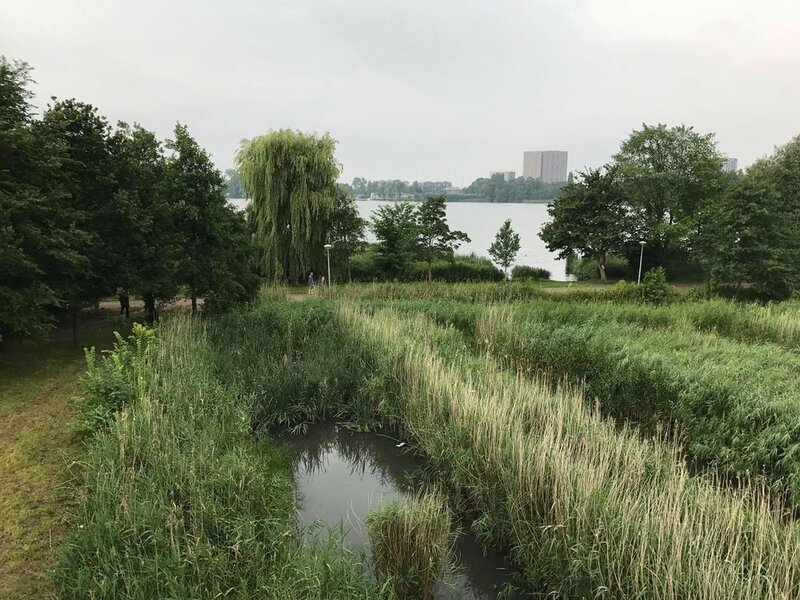 Daniel Raven-Ellison will come to Amsterdam to share his passion for the #urbangreen and to tell the inspiring story of London becoming the world's first National Park City. More information about the complete programme and other speakers will be announced soon. 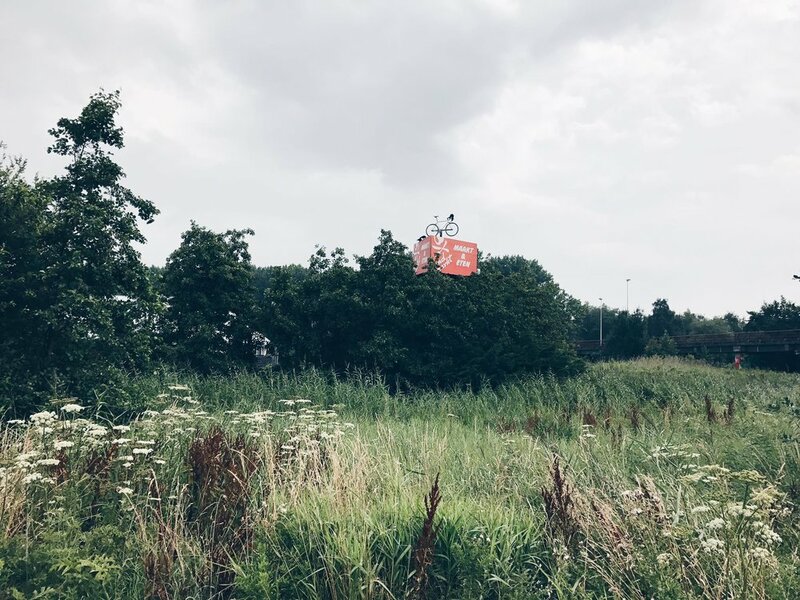 This was our parallen one day with Daniel (in London), in Amsterdam june 2017 (Flevopark, Landmarkt, Het Vliegenbos, De Ceuvel, KantoorKaravaan, The Pollinators, Gewildgroei, Prinseneiland | Amsterdam, WESTERPARK, Het Woeste Westen, Buurtboerderij 'Ons Genoegen', I can change the world with my two hands, Midwest Amsterdam, Erasmuspark, Rembrandtpark, Groene loper Witte de Withstraat, Sloterplas Beach :-), Kanovereniging Sloterplas, Fruittuin Van West).